Once upon a time, I was primarily a portrait and wedding photographer. It is in that avenue of work that many people know me from. It has only been since 2004 that I have transitioned to the various arts I work at and hope to perfect. Since 2008 Dan and I have been building our own artistic enterprise. The digital age as well as my own wear and tear have made photography a minimal part of what I do. But, on occasion, I am still called upon to do a photoshoot, in which case, my equally talented husband, Dan Roesinger either grabs a camera as well, or acts as my "roady". Often times, Dan will grab our little video camera as an added bonus to the still shots. Over the weekend, we were called upon by a dear friend, Rick Taber. He is an incredible musician and trying to make his way in our neck of the woods. He is a well known musician in the Northwoods as it is, but since he's moving to a quaint little place in Bessemer, he'd like to make more of a showing at the ski hills in the area as well as more of the local downtown establishments. He's finding that so many of the managers for these establishments would like something in a digital format as opposed to as live performance or audition. So, this past weekend, Rick was performing at Indianhead Ski Hill, in the Sky Bar and he asked if Dan and I could get some footage of his performance. We gladly jumped at the challenge and did some video as well as stills to put together some promotional material for him. He's been a good friend to us and has helped us out a ton of times with firewood and other times of need. He's been there for us many times and provided many good times and music in our home! So, as with all good friendships, we all scratch each other's backs. 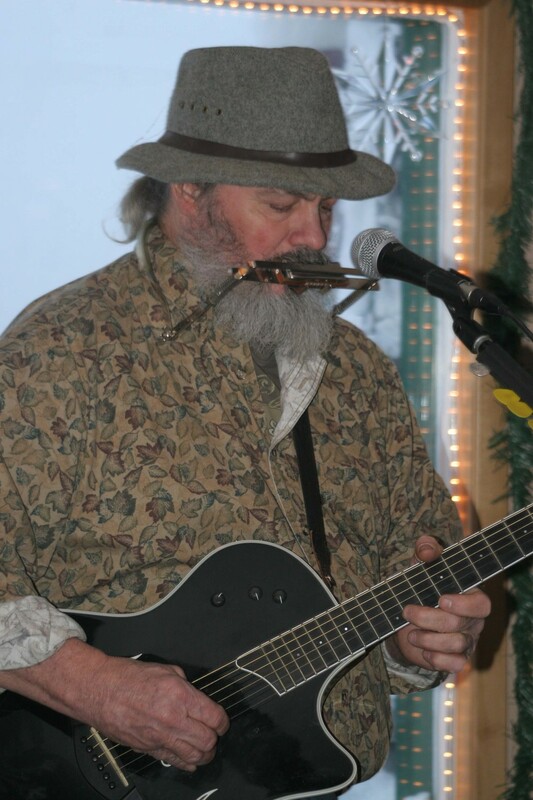 Rick Taber performed live at Indianhead Ski Hill January 3rd and 4th, 2014. He is available for live music at various venues throughout Northern Wisconsin and the U.P. of Michigan. For more information or to book Rick for a live performance contact him or text him at 715-892-0419. Rick's performance on Saturday was extraordinary! He had a very enthusiastic crowd of young adults dancing and singing along as well as shouting out requests. Billy Joel's Piano Man was a particular favorite as was American Pie. It was great to see that many kids in their 20s who knew every word of these songs that came out a couple decades before they were even born. The lighting wasn't the best at Indianhead, so our video isn't the greatest quality, but, it may just help Rick get a good foothold on some gigs in Yooperland. At any rate, it was fun and a great change of pace. Plus it will give me the opportunity to hone my video editing skills so we can add to our own Youtube channel, which is where you will find our first rough videos of Rick's performances. We used a song written and performed by Rick in this video. The mood of it was so fitting, as we had just adopted our dog Merlin from a local animal shelter. He proved to be a great companion for our rescued dog, Thora the huskie.